My interest in travel, history, cultural and photography get me to many fascinating places. 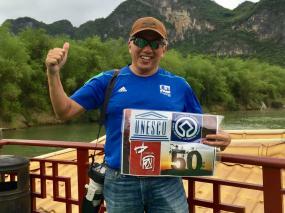 My moment of pride was in April 2017 when I completed the Grand Slam of all 55 UNESCO Heritage sites in Malaysia (4), Singapore (1) and China (50). This has since been updated to 57 with the inclusion of Qinghai Hoh Xil and Gulangsu to the prestigious list in July 2017. I look forward to sharing adventures and stories with like minded folks in this community and together, promote the values of UNESCO in preserving our shared heritage for the future generations.